Investing in a water filtration system inside your home brings you immediate benefits and is a small price to pay for the improved health of your family. Carolina Water Products provides water filtration systems by Rainsoft that use reverse osmosis. There are different kinds of systems as some can be installed under the sink while others service an entire home. At Carolina Water Products, we can match the water filtration that best suits your lifestyle and budget. The process of reverse osmosis works by removing harmful minerals from water. It started out by removing salt from seawater so that it could be used for a variety of purposes. The process then became popularized as a way to make water safer and healthier within the home. There are even large water treatment plants that use reverse osmosis to clean and filter their water supplies. Here is a look at how a reverse osmosis water filtration system can help your family. Cleaner drinking water – The difference is in the taste as you will experience purer, fresher water out of your water filtration system. The quality of the water will also be noticeably better. Healthier living – A water filtration system will provide a way of filtering out any contaminants that may pose harm to individual health. The system will also keep healthy minerals in the water. Reduction of waste – The reverse osmosis process will cause a massive reduction in the overall water waste you will experience moving forward. These results will show up in a reduction in your monthly water bill. Homeowners may have different preferences as there are water filtration systems used for drinking purposes and others that serve the function of solving water problems within the home. The professionals at Carolina Water Products can analyze your situation and recommend a Rainsoft water filtration system for you. We will also attend to the installation process and advise you on how to maintain the system. Maintenance is relatively easy and requires some simple changes and upkeep every 1-2 years. The purchase of any of our water filtration system comes with tips on how to manage your system. 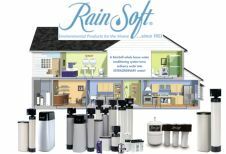 Our expert advice is free of charge as it is our goal to ensure you get long-lasting use out of your Rainsoft water filtration system. When it comes time to freshen the water in your home, contact Carolina Water Products for the top water purification Charlotte NC has to offer. Contact Us To See How We Can Improve Your Home or Business Today!